You know those days when you just need a drink? This is the perfect drink for those days. The impetus for making this drink didn’t actually come from one of “those days.” I actually had the day off (local holiday – hooray! 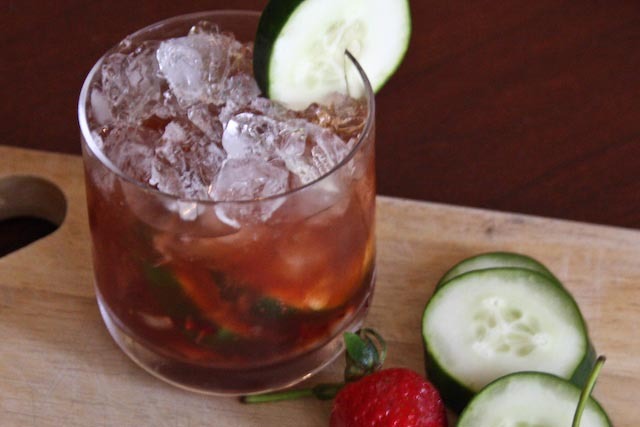 ), and was reading Bon Appetit on the beach (I know, rough life), when I saw this article about “smash” cocktails, and read the description of this crazy concoction of strawberries, cucumbers, balsamic vinegar (what? ), and gin. I thought to myself, either this is going to be totally disgusting, or it’s going to rock my world. Well, lucky for me (and for you!) it was the latter. Now, I love gin (and not everyone does), but if you do, this is a drink you must try. AND, I really do think it’s a perfect drink for those times when you just, you know, need one. 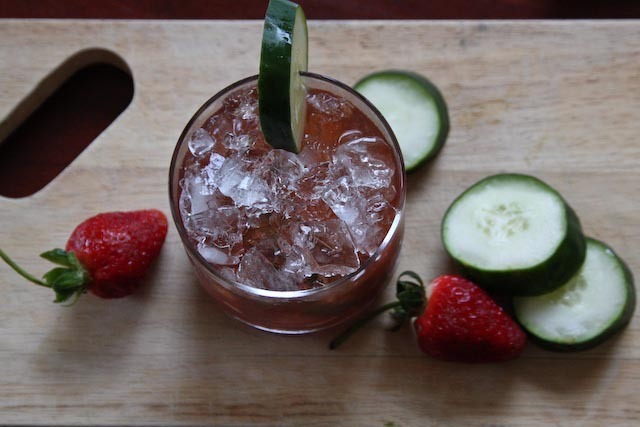 This drink is literally a mash up of tart citrus, sweet strawberries, crisp cucumber, refreshing gin, and a slight hint of tangy balsamic. I really have no idea how this all magically works together, but it does. And it’s amazing. So definitely give it a try. Especially if you’re having one of those days. Cheers. Oh, and did I mention it’s only 135 Calories? 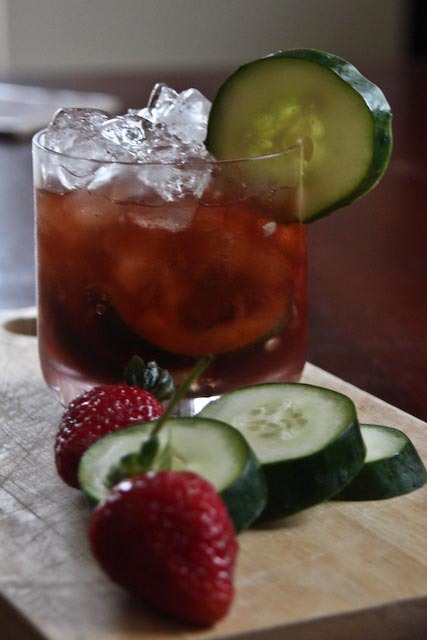 In an Old Fashioned or rocks glass, muddle (using a muddler or the handle of a wooden spoon) the sugar, lime juice, strawberries, balsamic vinegar, and cucumbers a few times to release the juices in the berries and cucumbers. Add the gin and stir. Fill glass half way with crushed ice and stir then mound with more crushed ice. 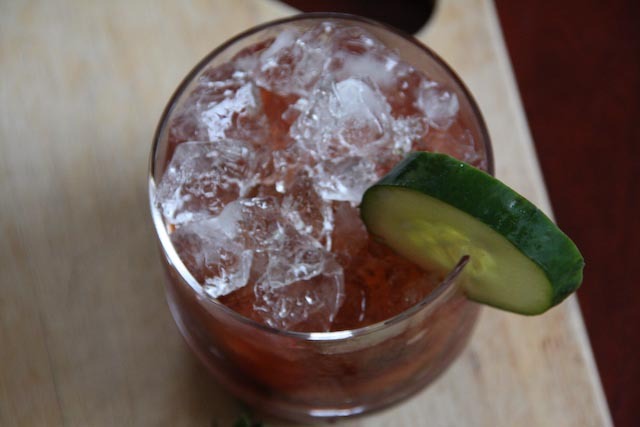 Garnish with a cucumber slice.